It’s March and the weather up north is starting to warm up a bit, making our minds wander with thoughts of spring. Even though it’s still cold for baseball up here, we can catch glimpses of players in Florida and Arizona getting ready to play baseball come April. The following is Willie Mays taking some hacks in warmer weather of Arizona in the winter of 1955. Soft pastels on Strathmore Charcoal paper. 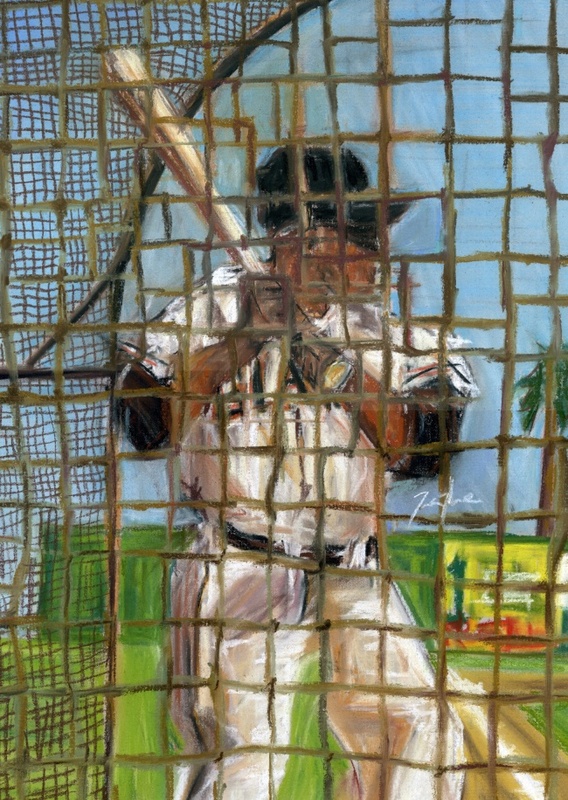 ~11" x14"
This entry was posted in Art and tagged Centerfield, Giants, HOF, MVP, New York, San Fransisco, Willie Mays. Bookmark the permalink.